Some brides prefer a more casual setting for their wedding, such as on the beach, in a garden, or other casual locations. These relaxed settings allow the bride to choose an informal wedding dress for their special day. Informal wedding dresses come in a variety of fashionable styles and lengths. Most bridal shops, including David’s Bridal and other retail shops such as Target, sell casual dresses for brides. Many online shops carry bridal gowns in this style too, like OuterInner. Any of these less formal dresses will make any bride look stunning, so let’s get started! A short, above the knee strapless dress with tiers of ruffles is a chic choice for an informal ceremony. The tiers are made of folded Garza for a soft look. A satin sash fits snugly at the waist. The gown features a back zipper and it is fully lined. This Vera Wang dress is found at the David’s Bridal website. One-shoulder gowns come in a variety of styles and designs, even informal. The classic lines and the beauty of these gowns make them ideal for less formal wedding ceremonies. Brides can choose from floor length gowns with asymmetrically draped skirts to draped tiers on the skirt. Shorter, above the knee, dresses with bubble hems are another option for a one-shoulder dress. David’s Bridal has several Vera Wang designs for brides who want a one-shoulder gown. Another David’s Bridal dress is this fun 1920s recreation. Although it’s an old style, this fringe dress has a modern look. With a hemline that falls above the knee, the fully lined dress is ideal for any informal ceremony. The one shoulder bodice is edged in satin. The layers of fringe angle across the dress. They add flirty movement as the bride walks and dances. Dresses with cap sleeves offer an alternative to strapless gowns. The sleeves are set in and cap the shoulders. Target has a selection of informal dresses for brides that include cap sleeves. A simple V-Neck style with a keyhole back flatters the bride with a sash at the waist. The collection includes a maxi dress with scoop neck and V-back style. The cap sleeves are gathered with elastic cuffs. The classic lines of the dresses will flatter any bride on her special day. Some simple designs are available for brides who do not want a lacy or frilly dress. For the bride who wants to look elegant in a simple vintage dress, OuterInner has a simple A-line dress with a bateau neckline. The taffeta dress features three quarter length sleeves and back zipper. It has bra cups built in and is fully lined. 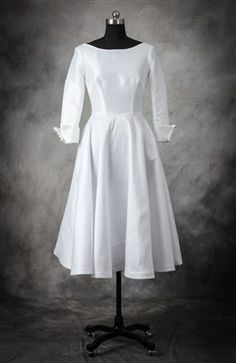 Any bride will look charming in this white dress. The graceful lines of a satin sheath flow gracefully on this maxi dress. The boning, back darts, and elastic strap ensure a proper fit. 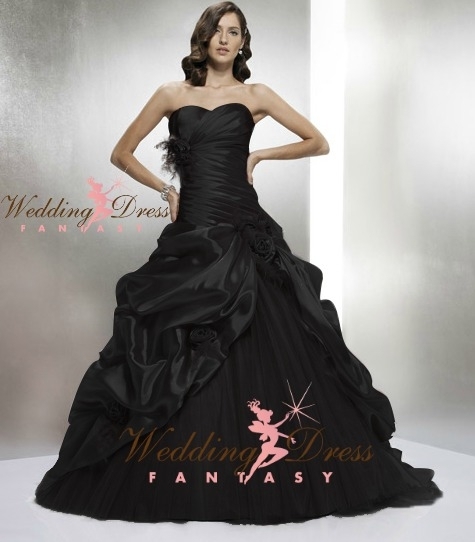 The strapless dress has a flattering square neckline and taffeta lining. The simple lines are timeless on this informal dress for the bride. The line of bridal gowns at Target, such as this one, are stunning, yet not over the top. One design of dress that is always in style is a halter dress. The casual and fun style of the neckline makes this type of dress a perfect complement to any informal ceremony. A halter style dress is ideal for beach weddings as well as other casual settings. Many halter style dresses have an A-line design so they flatter the bride. Some have a center front drape style with thin straps that circle the neck. David’s Bridal, which this one comes from, has a variety of halter style dresses for brides. 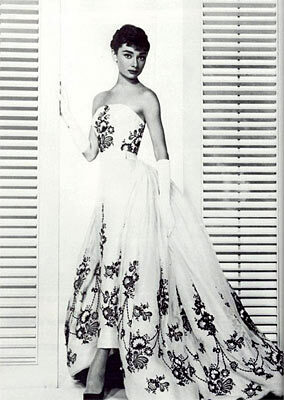 Several informal gowns come in different strapless styles. A strapless ballerina length A-line dress adds a look of grace and poise for any bride. The scalloped bodice has hand beading and embroidered lace. The natural waistband is accented with a satin sash. The full organza skirt flares softly down to the lace hemline. This feminine dress is sold on the OuterInner web site. 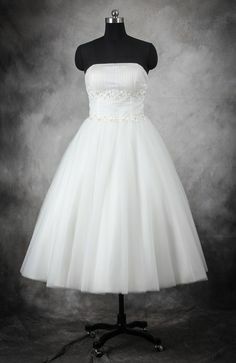 Many strapless dresses for brides are made with tulle, including this David’s Bridal chic strapless gown with sequins and tulle pick up skirt, which makes it ideal for afternoon weddings. The knee length of this dress, along with the tulle neckline and lace bodice offers a demure look for a bride. A taffeta skirt with bubble style and empire waist is a style that flatters the bride. The shorter strapless styles offer a dignified look for daytime ceremonies. Bridal gowns made of chiffon, such as this one, have a soft look as they flow gracefully around the bride. 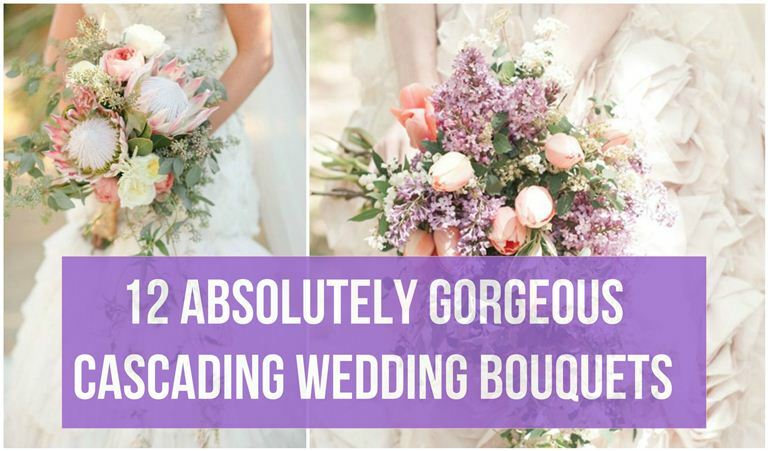 Which is something that makes them quite well suited for an informal wedding spot. The Raining Blossoms web site carries this dress, as well as many more beautiful chiffon wedding dresses in designs with a ruched bodice, gathered skirts, and layered skirts.